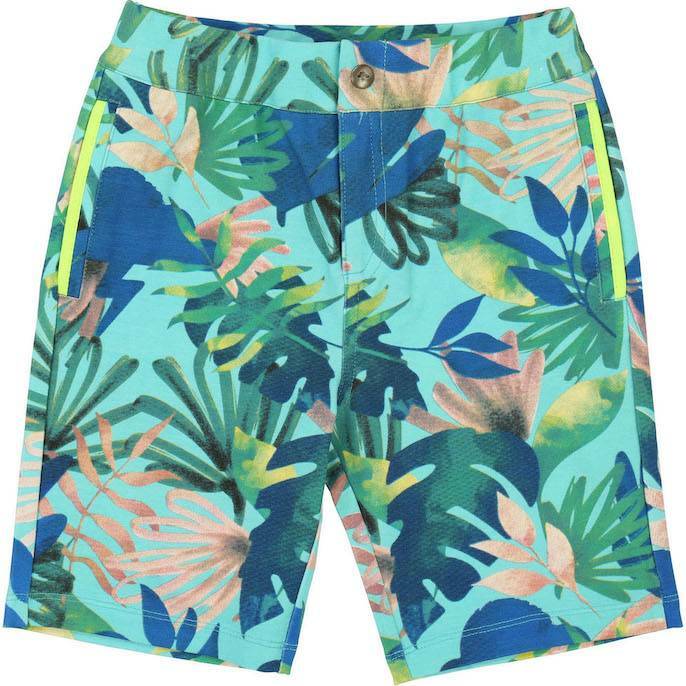 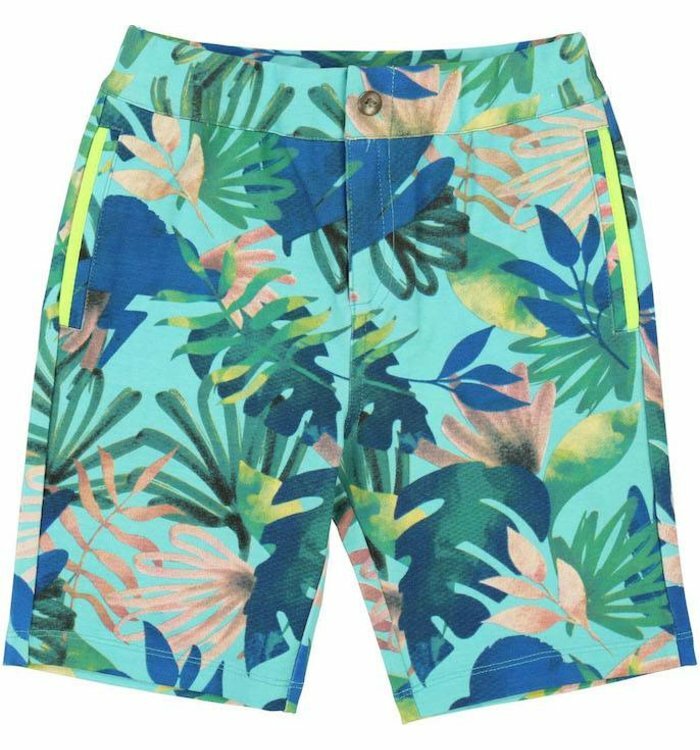 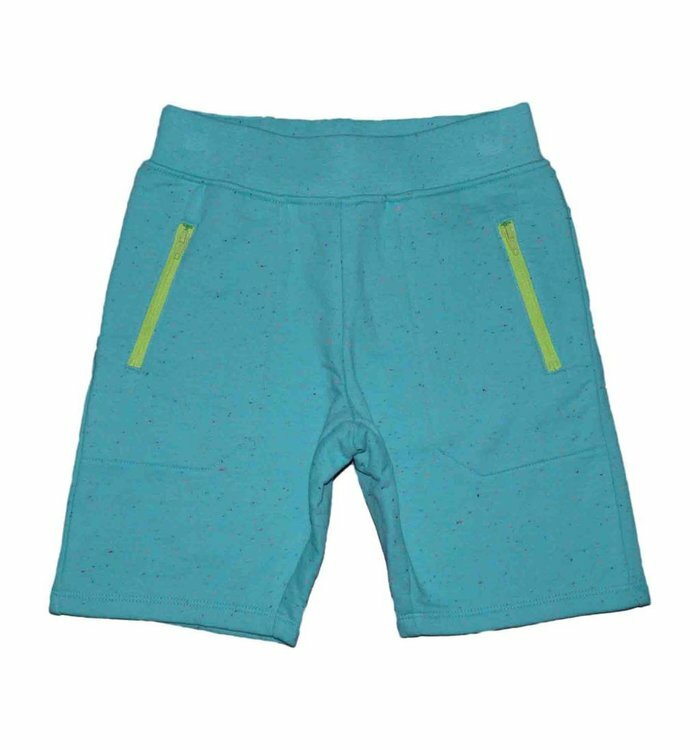 Waterproof synthetic fabric, Net stitching lining, Quick drying, Slant pockets, Elastic waistband, Drawstrings on the waistband, Fancy print on the front and in the back. 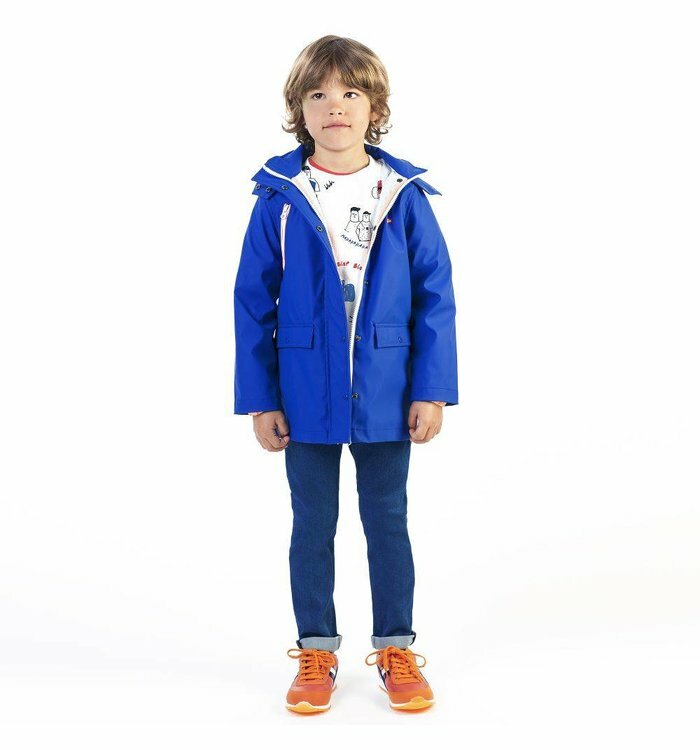 A water resistant raincoat by Billybandit, made in a blue polyurethane coated polyester. 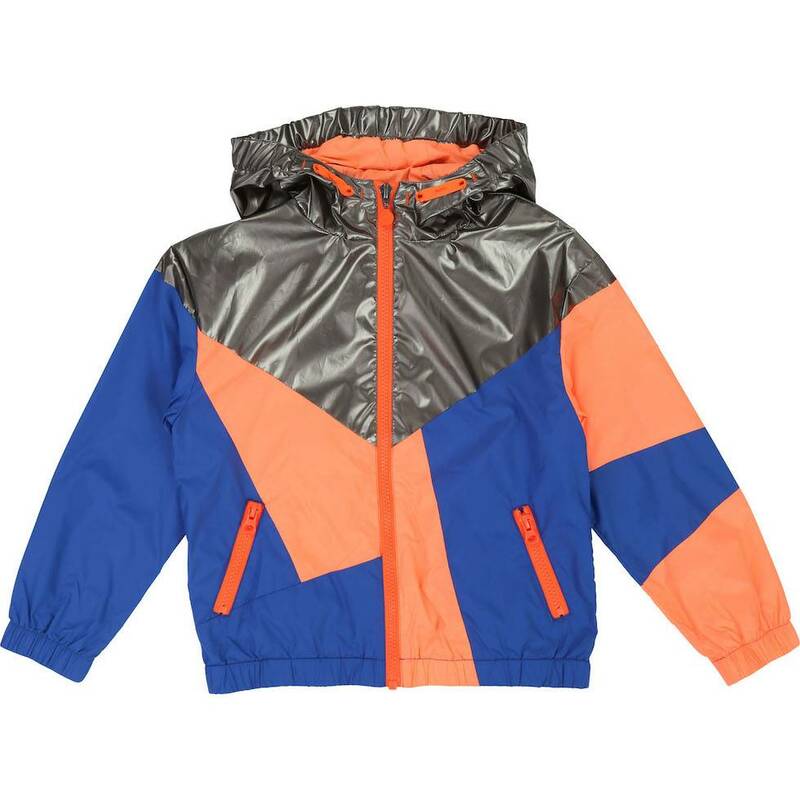 It has a flap over the zip and taped seams to resist the rain, with orange piping and an orange trimmed visor on the hood. 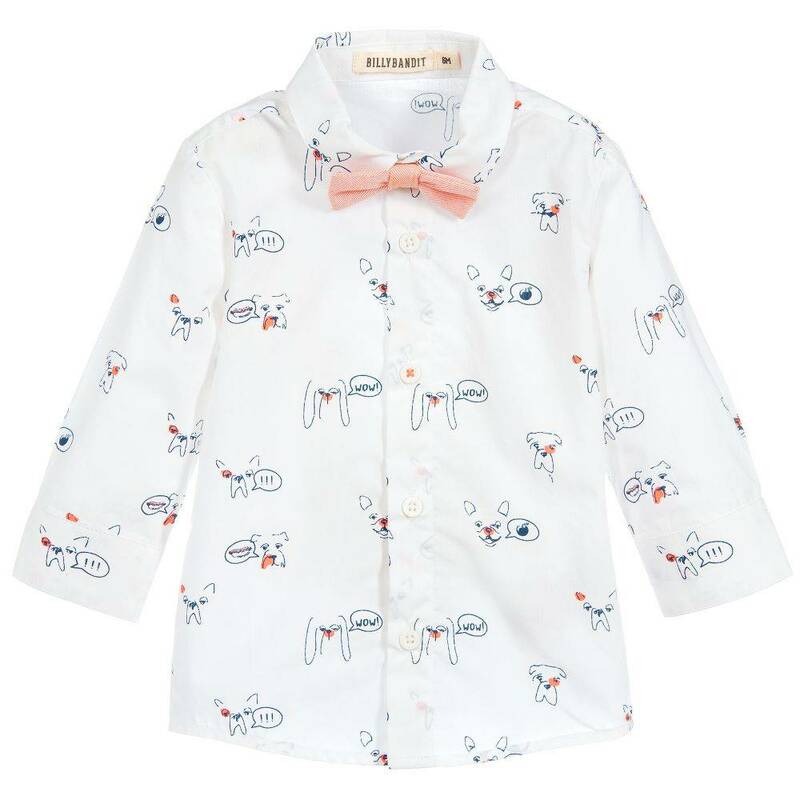 A lightweight cotton shirt by Billiebandit, with a fun print of dogs faces, highlighted in neon orange. 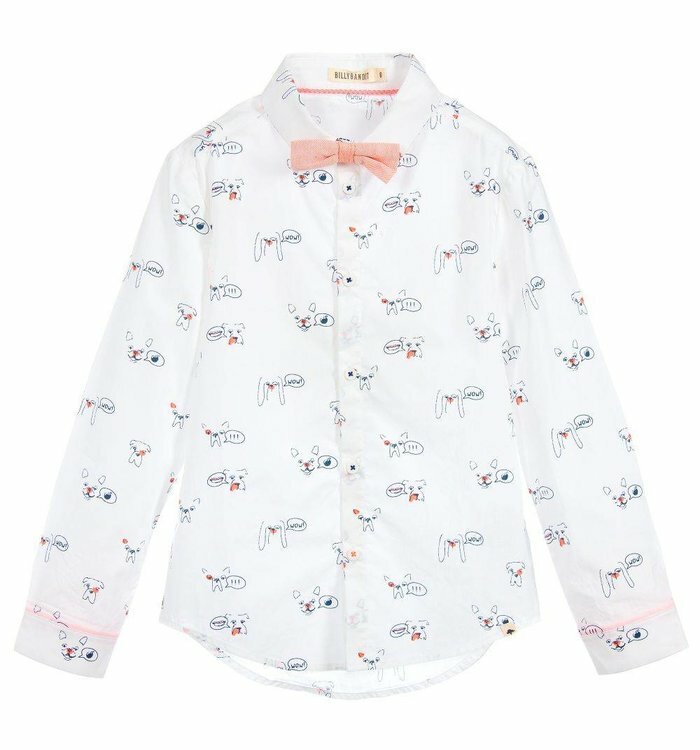 It comes with a removable, striped orange bow tie that is secured with buttons. 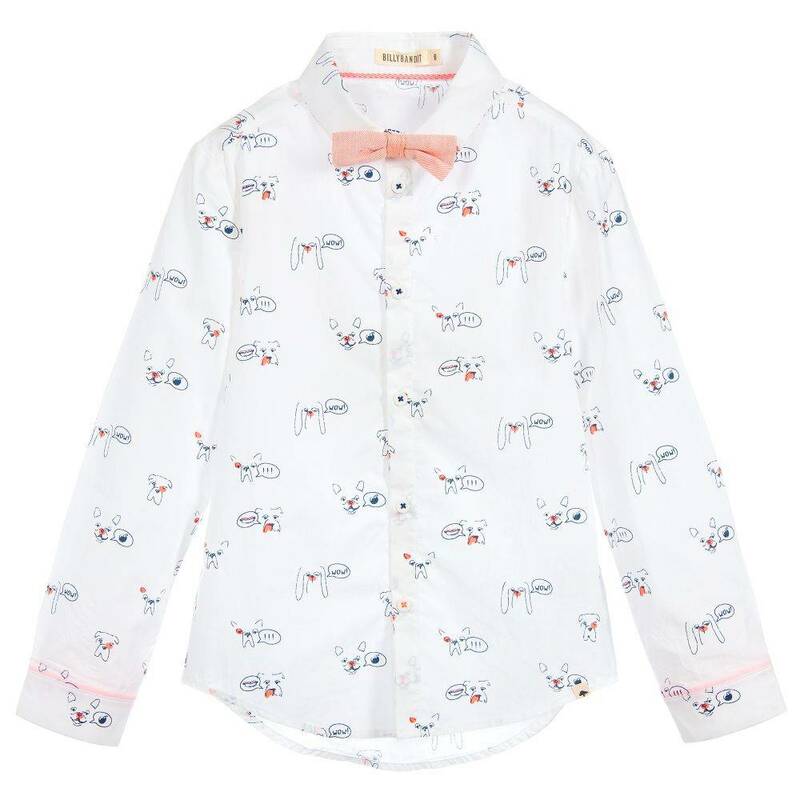 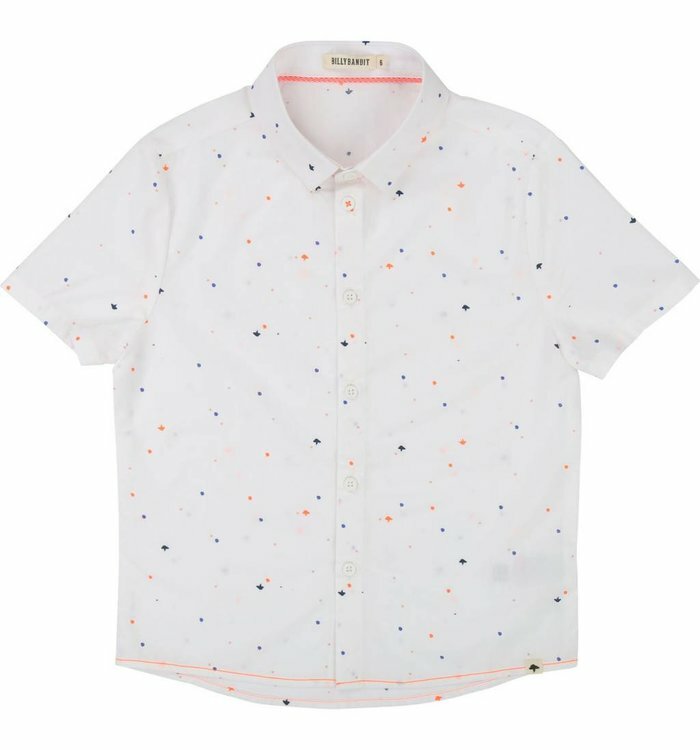 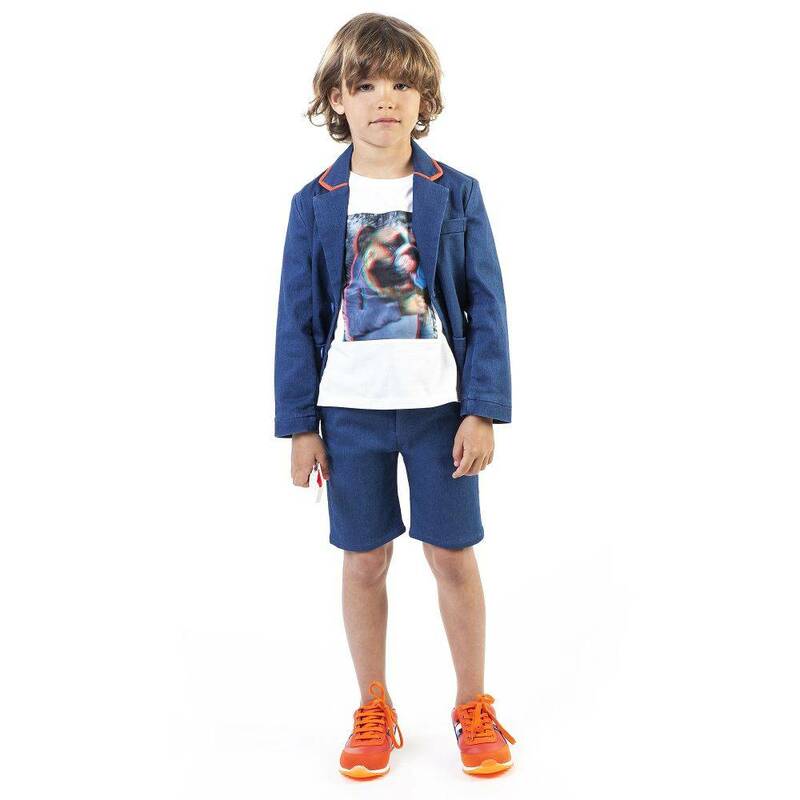 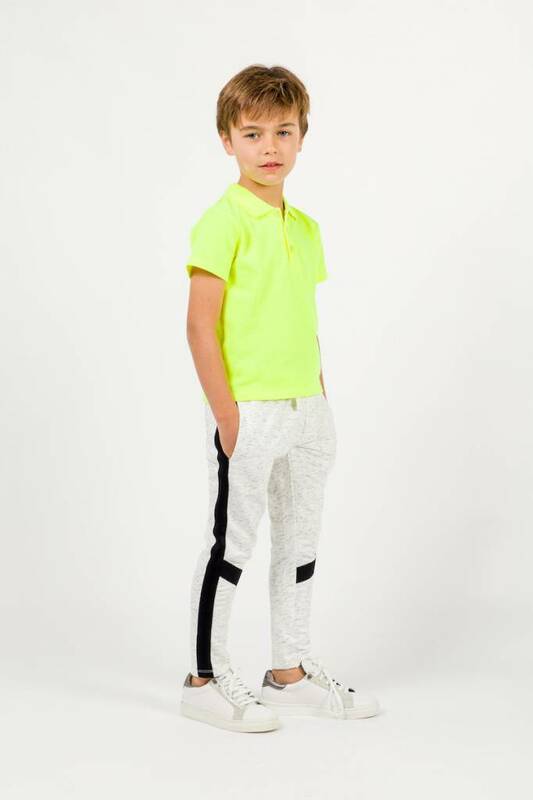 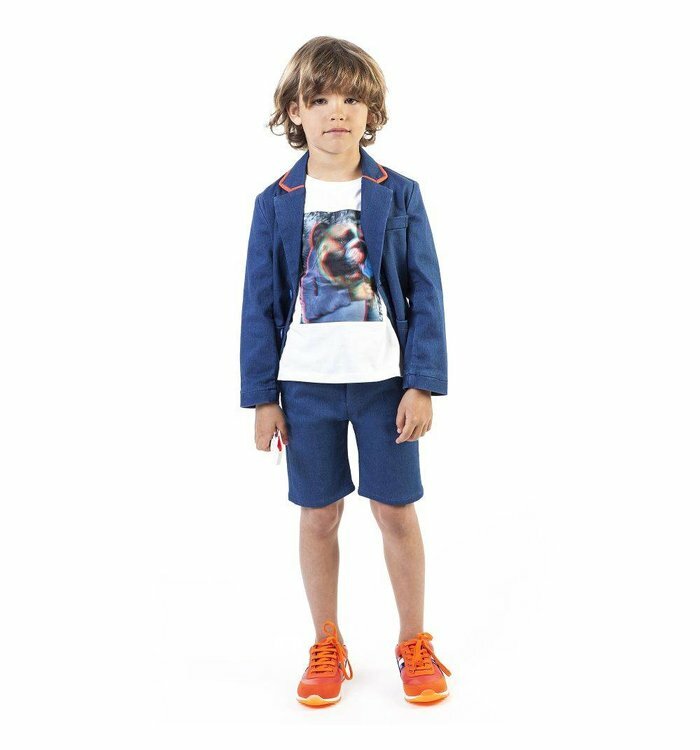 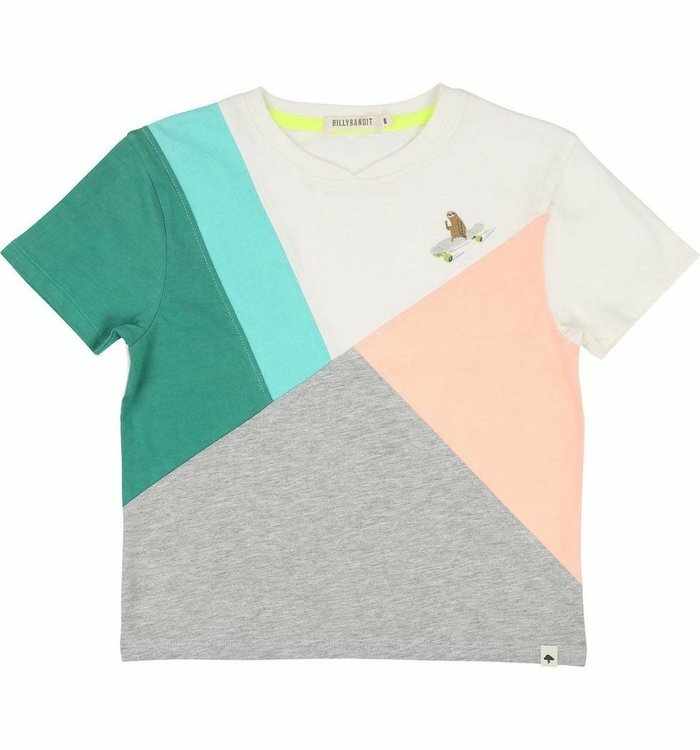 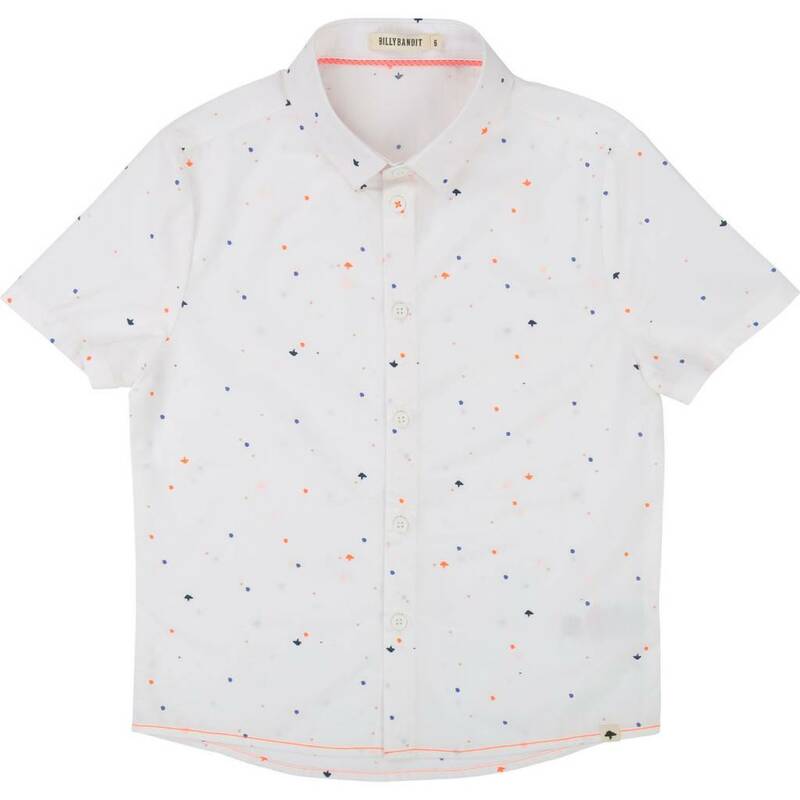 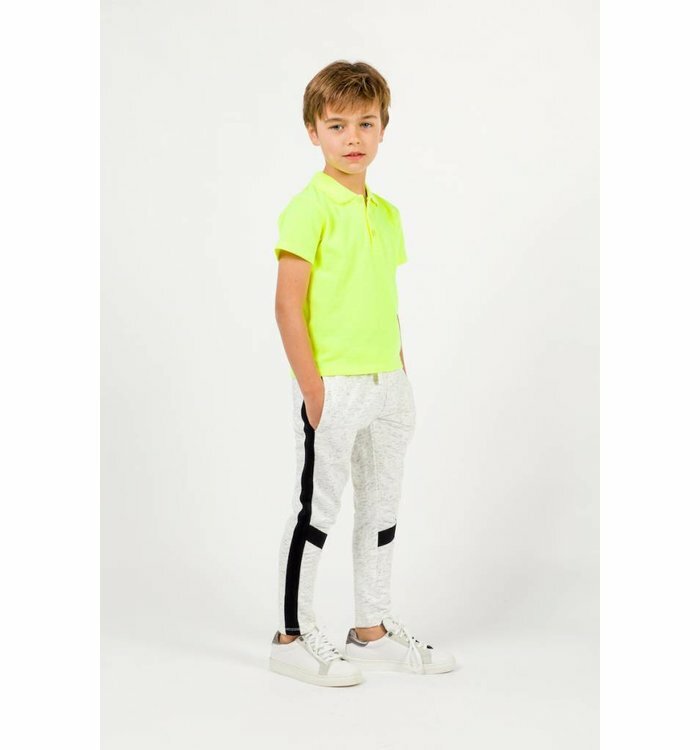 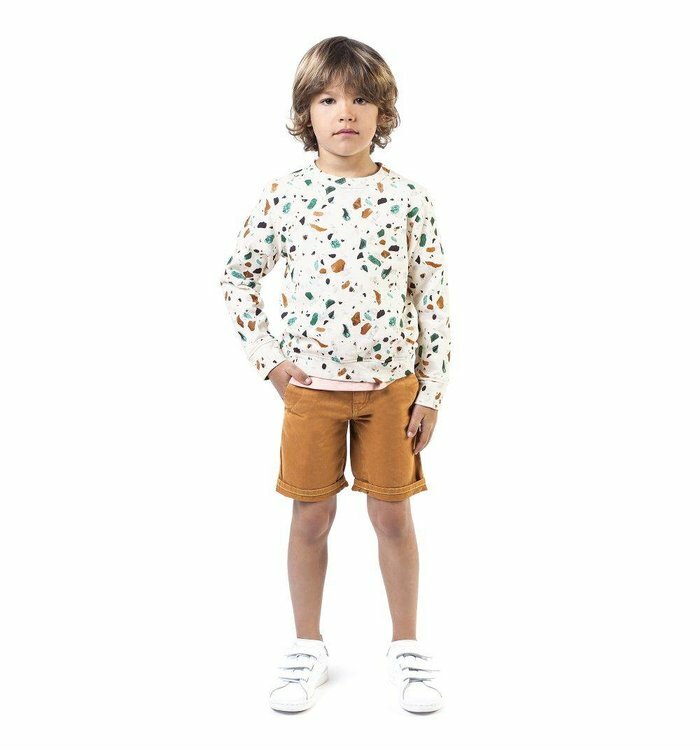 A lightweight cotton shirt for younger boys by Billiebandit, with a fun print of dogs faces, highlighted in neon orange. 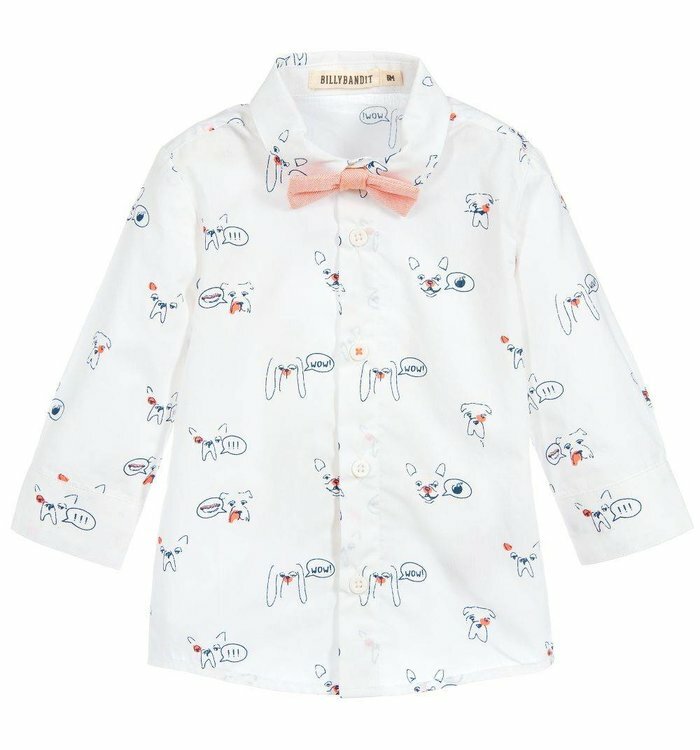 It comes with a removable, striped orange bow tie that is secured with buttons. 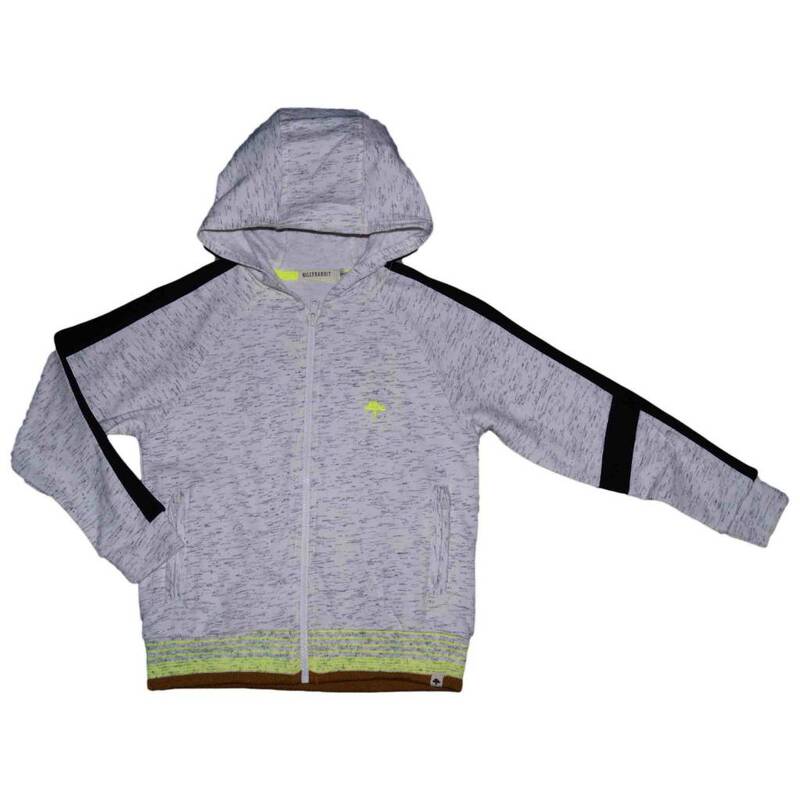 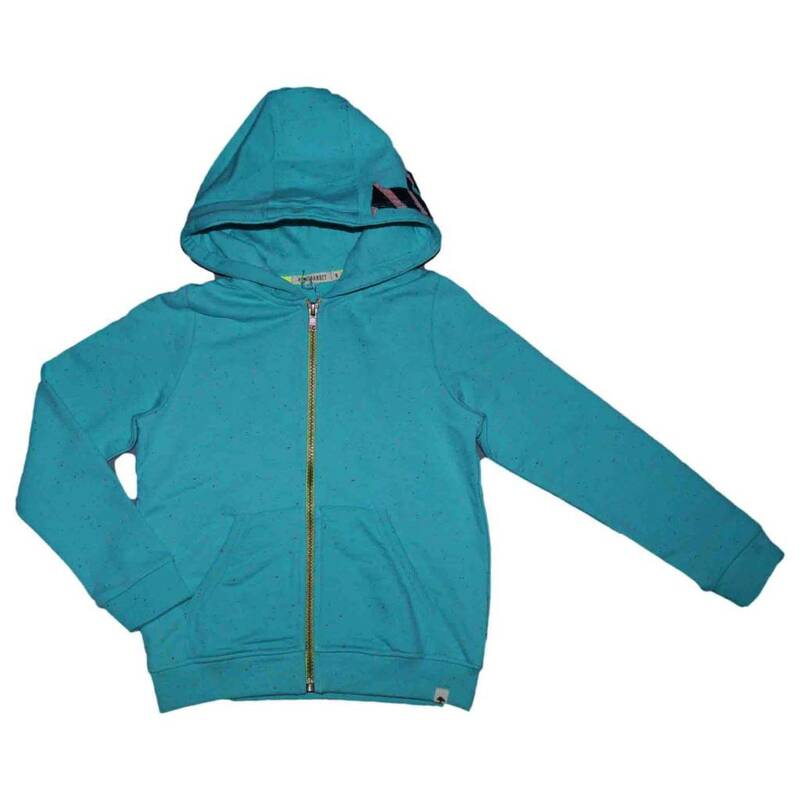 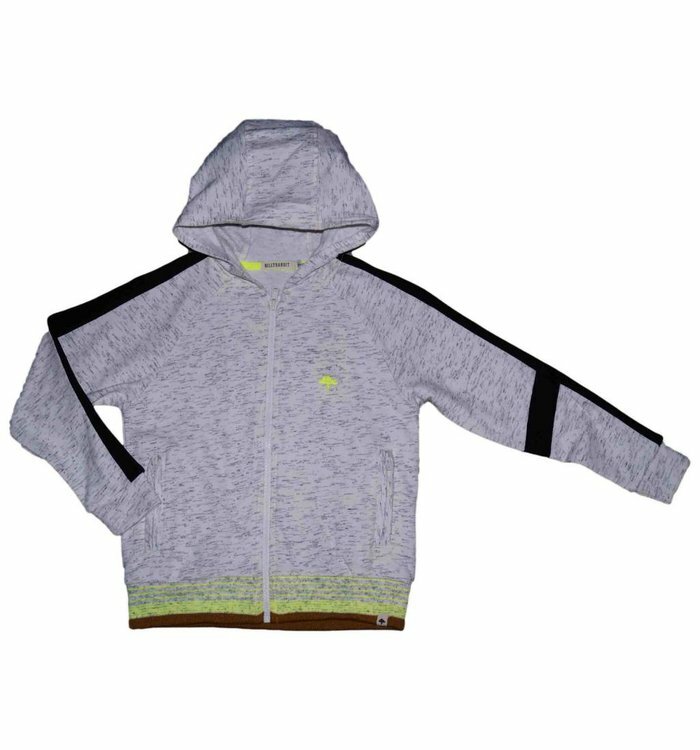 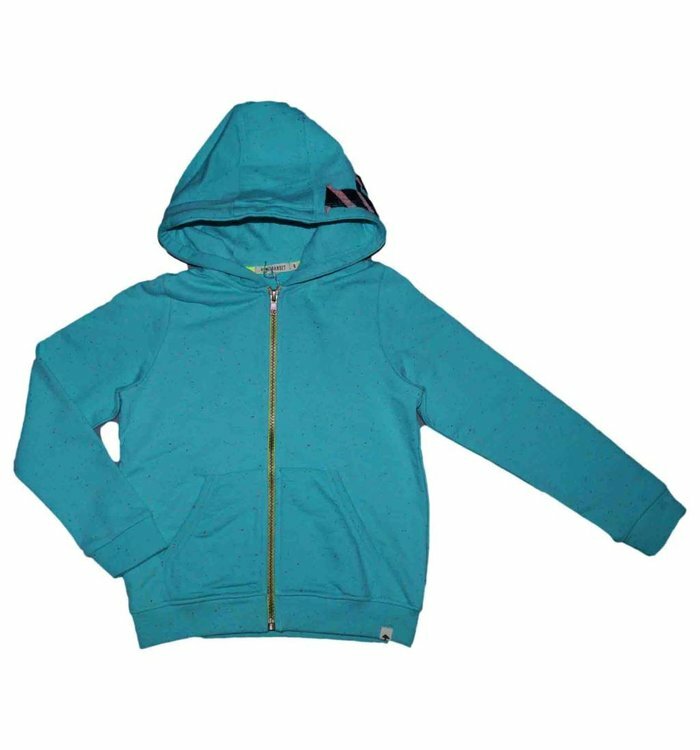 Blue Billybandit jacket for boys, made in a comfortable, stretchy jog denim. 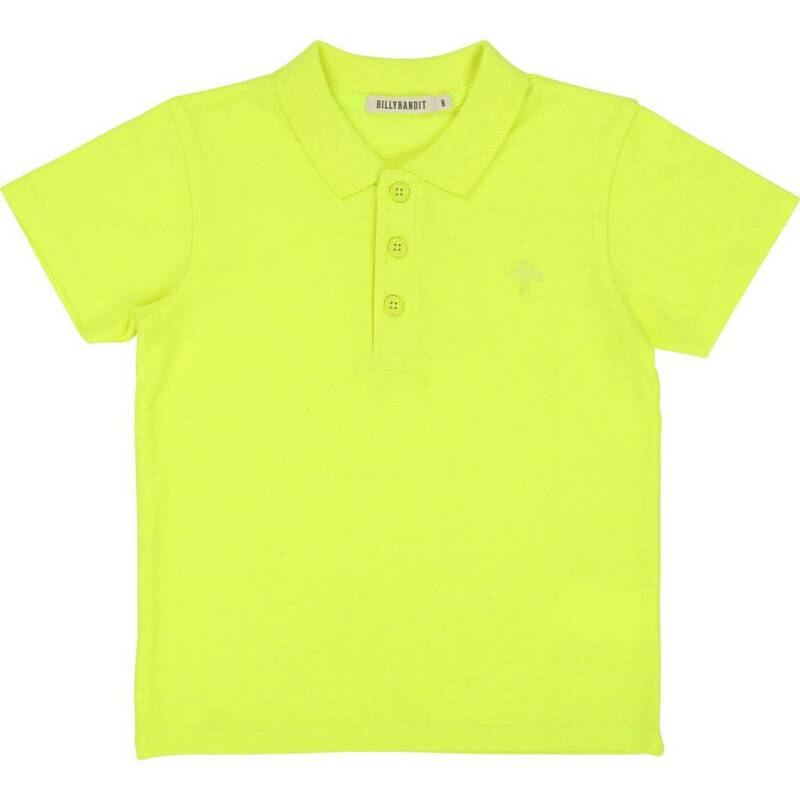 With neon orange piping and logo buttons, it has a fun clip-on pair of sunglasses. 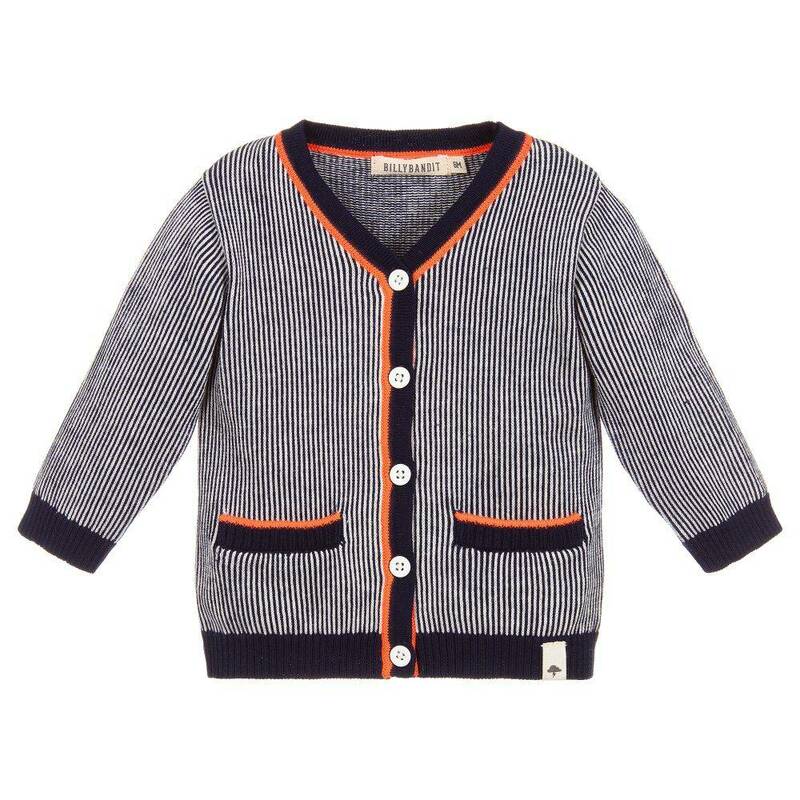 Made for younger boys in a lightweight cotton knit, this navy blue striped cardigan is by Billybandit. 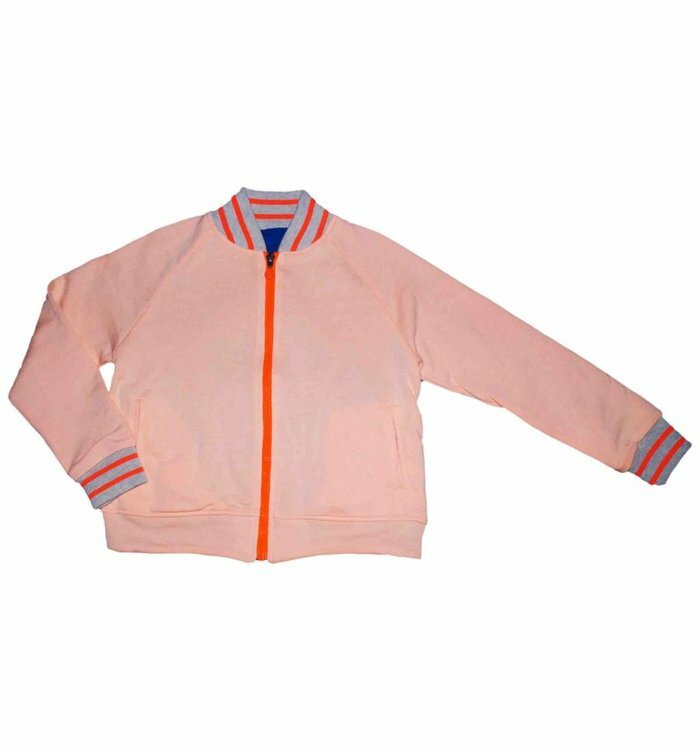 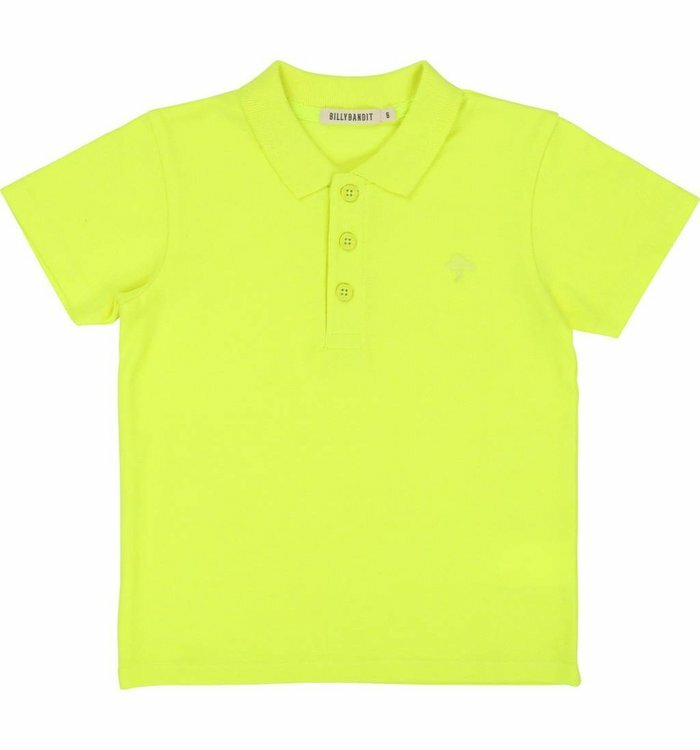 It fastens with logo buttons and has the designers brand tab on the hemline. 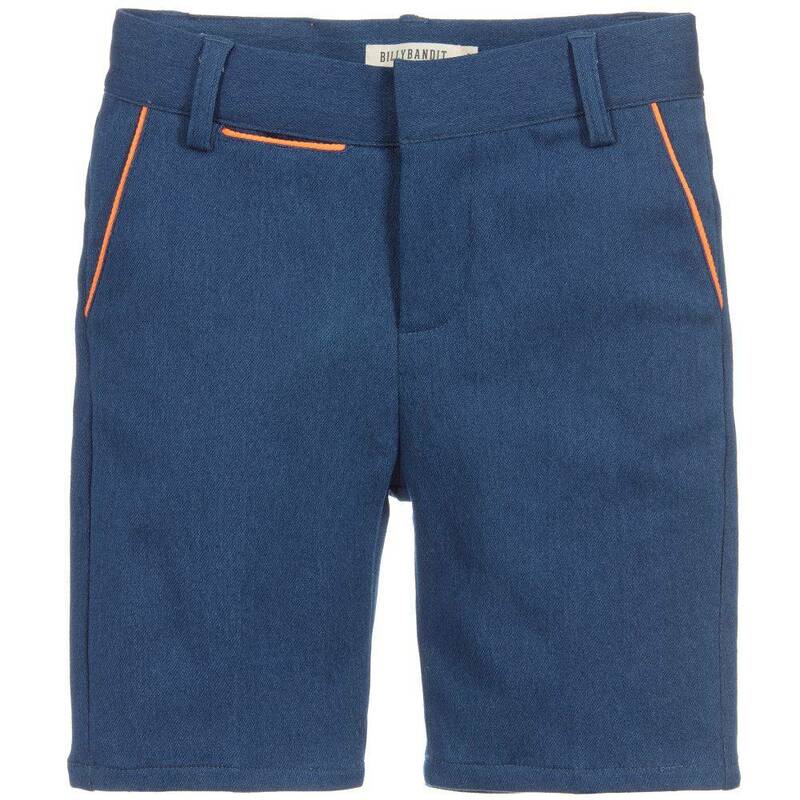 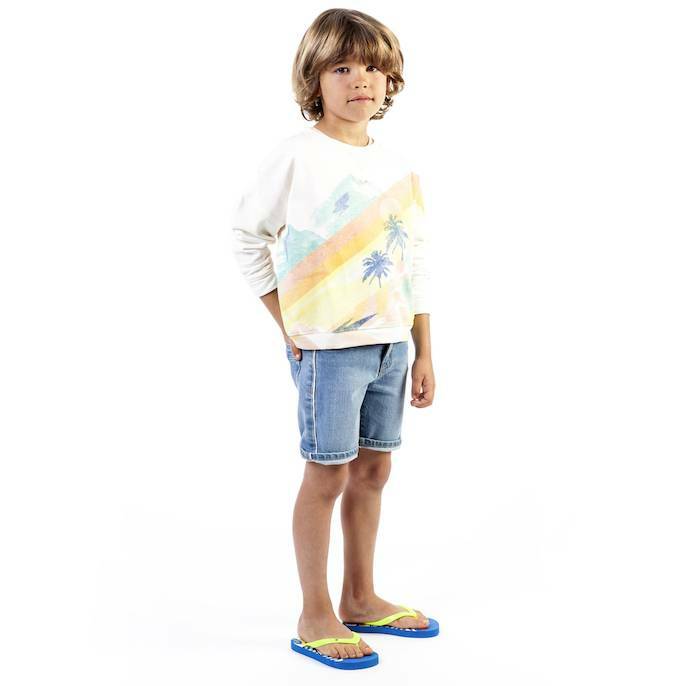 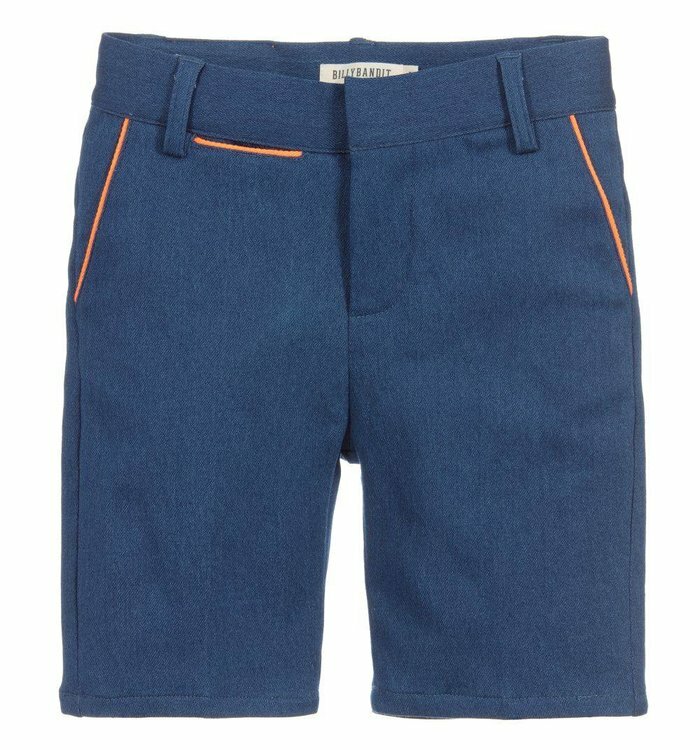 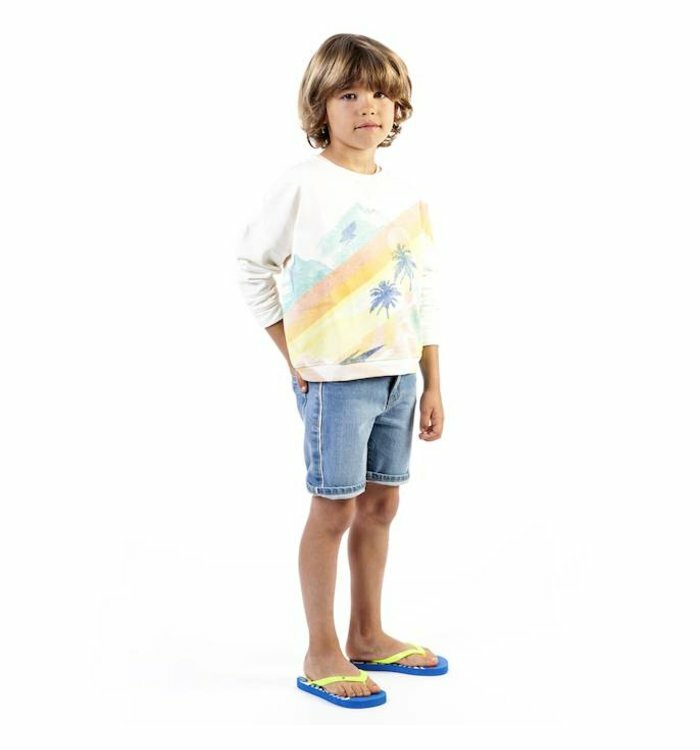 Blue Billybandit shorts for boys, made in a comfortable, stretchy jog denim. 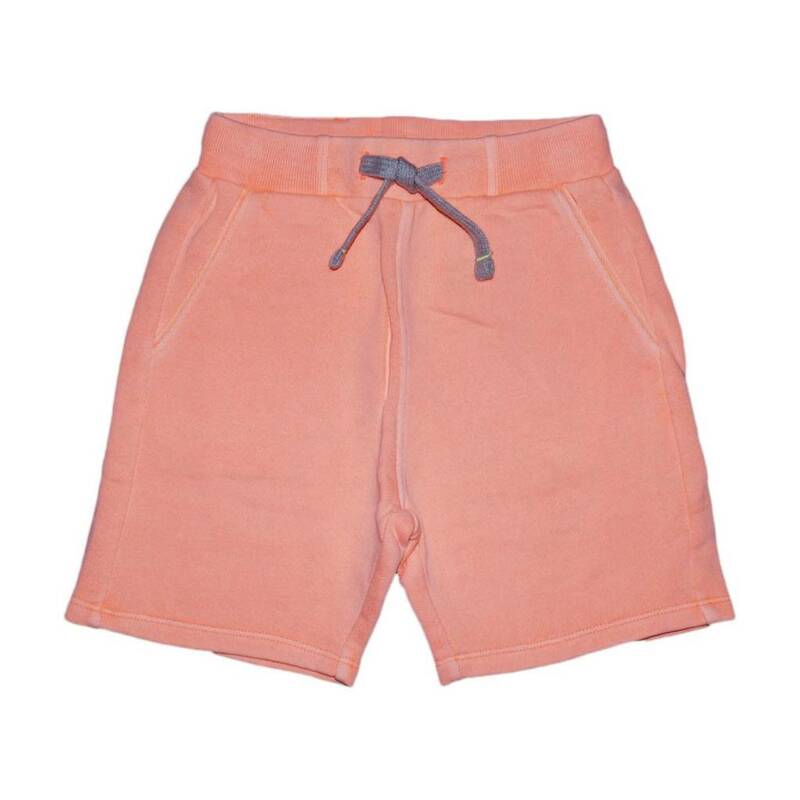 With neon orange piping on the pockets and a matching logo badge, they have a useful elasticated waistband. 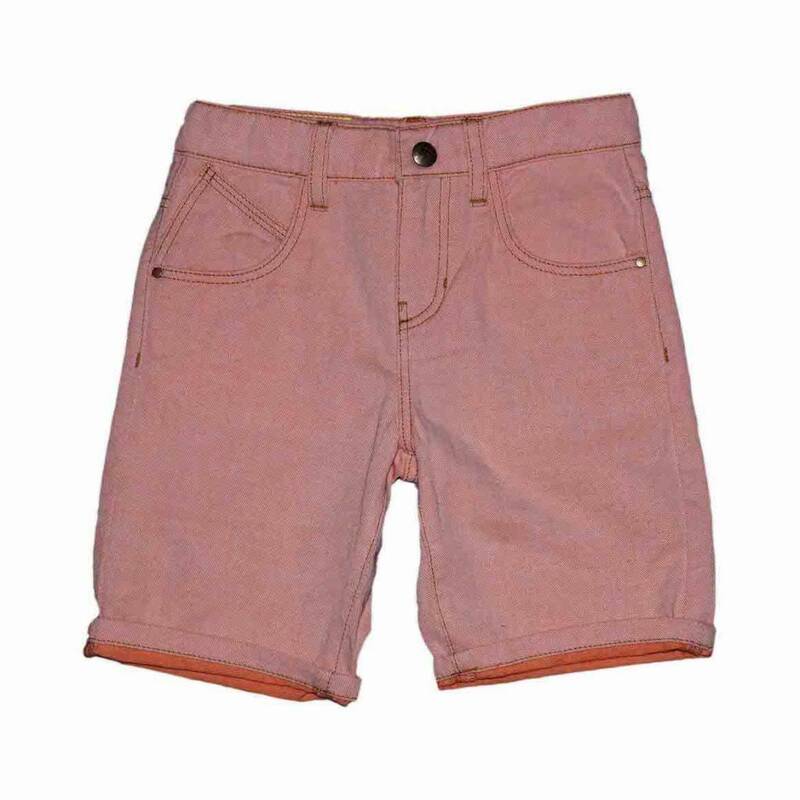 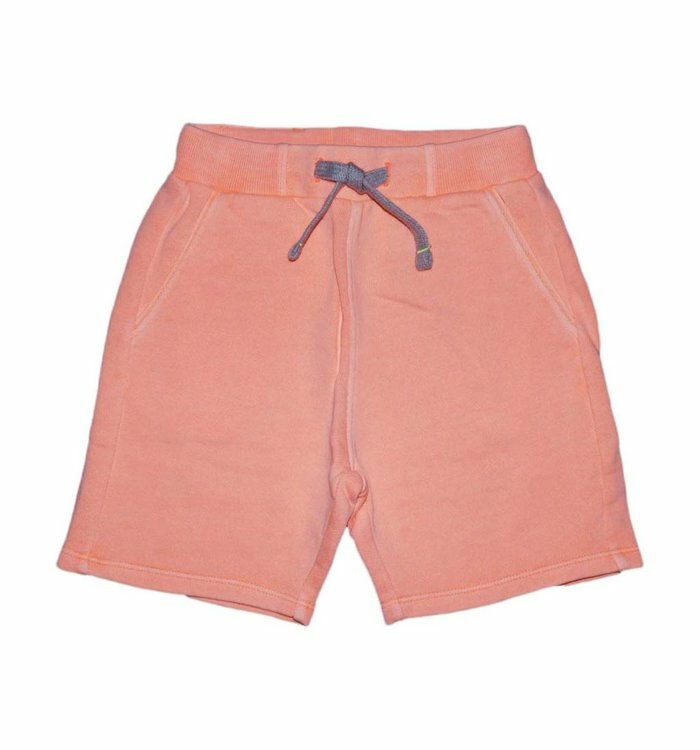 Made in soft, mid-weight cotton, these shorts are by Billybandit. 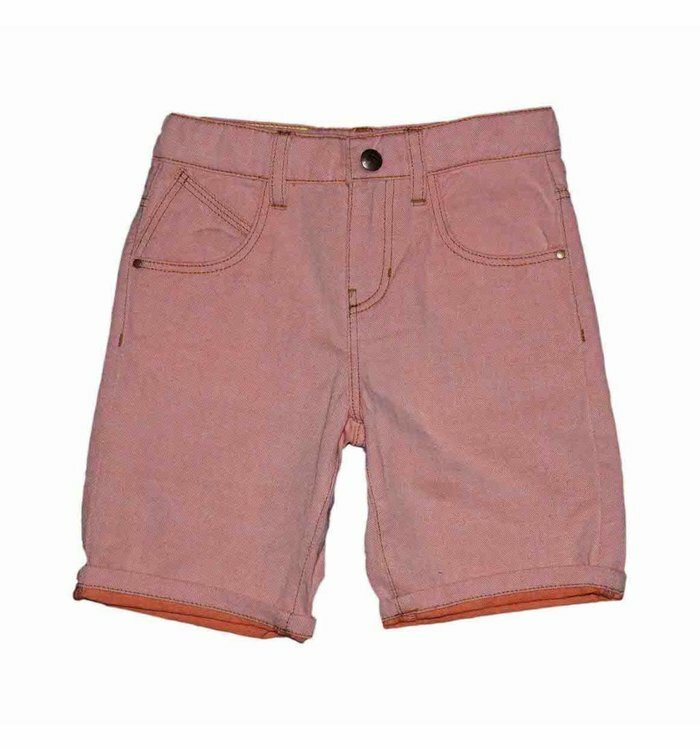 They have yellow stitching detail and a useful adjustable waistband. 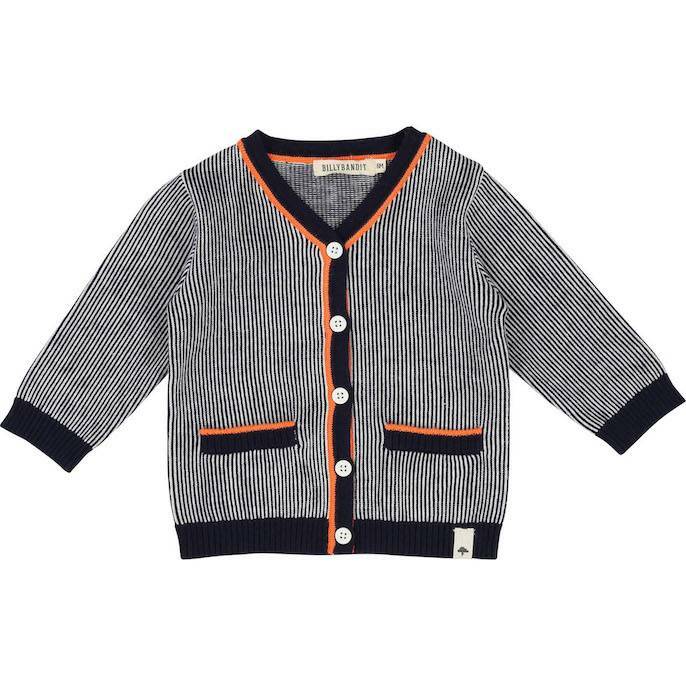 Offered in brown and navy blue. 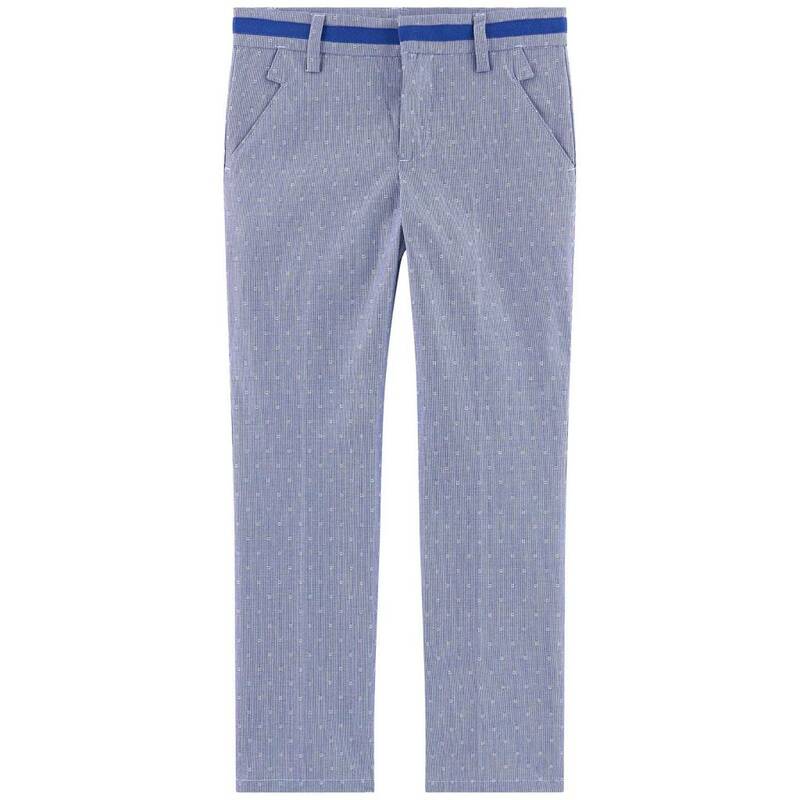 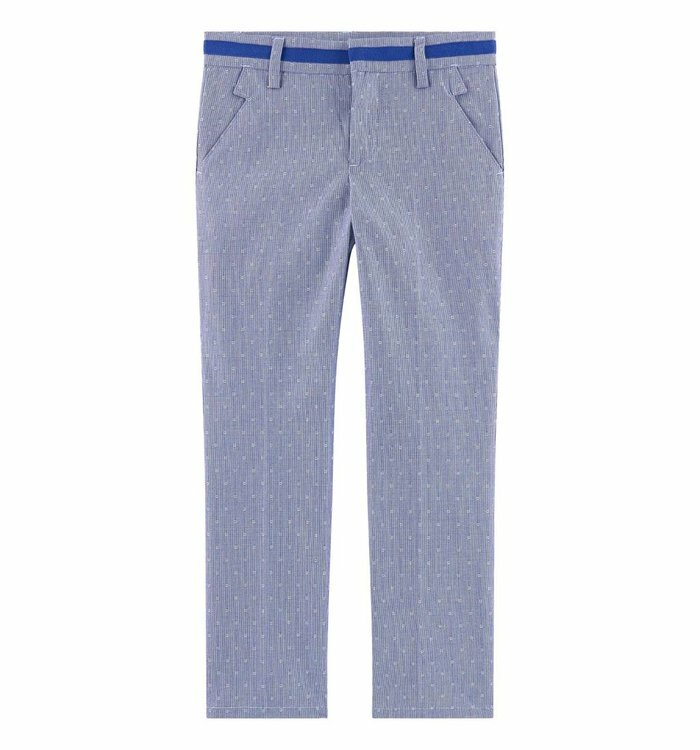 Smart blue cotton pants by Billybandit, with a spot pattern in the weave. 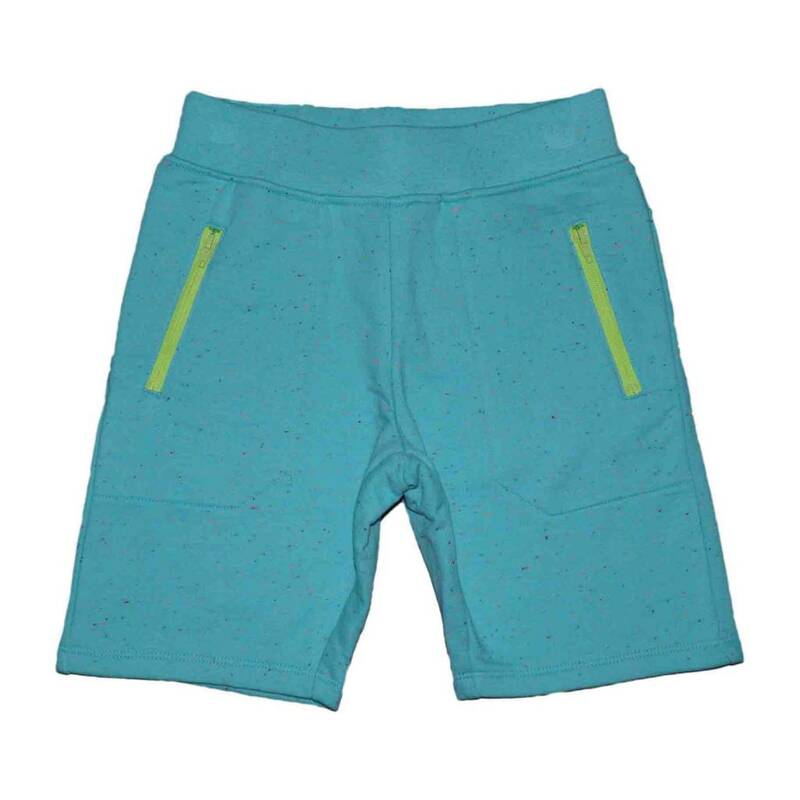 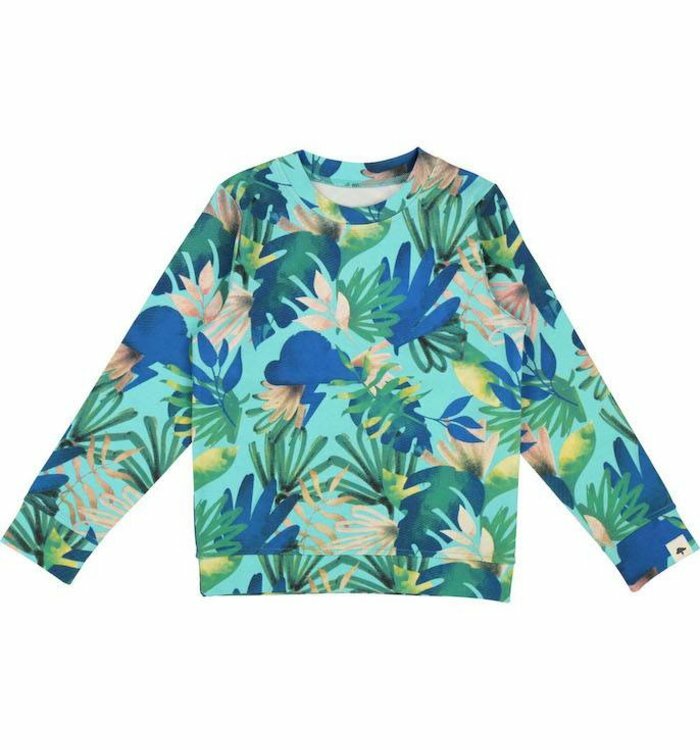 The waistband is trimmed with blue and fastens with a hook and eye.